NBC will be returning to Holywood for some fun and games. 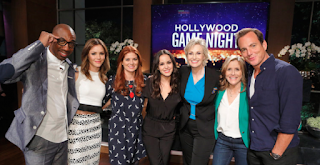 Hollywood Game Night, the veteran game show that features celebrities and everyday people playing games in the hopes of winning money for the team leader, as well as charity, has been renewed for a sixth season. Hosted by Jane Lynch and created by Will & Grace star Sean Hayes (along with todd Milliner), the series debuted in July 2013 and has been a staple on the NBC schedule ever since. The show draws modest, yet respectable, ratings and most recently aired in Summer 2017. For her work on the series, Lynch has won two Emmy Awards, with one other nomination.